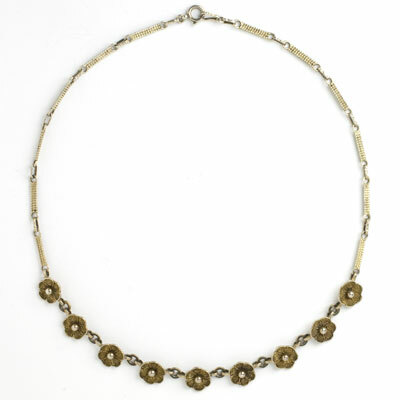 This Theodor Fahrner necklace has scrolled filigree-topped flower petals and decorative links that illustrate the high quality of this maker’s work and the elegant simplicity of their design. 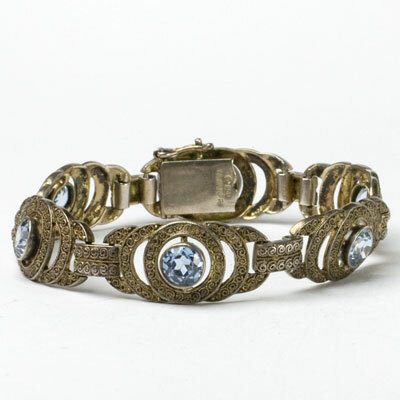 This charming sterling silver piece has a touch of gilt remaining on the petals. 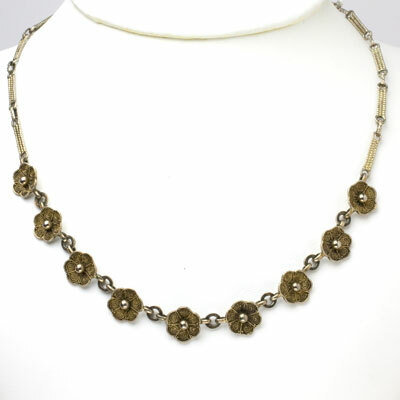 This necklace closes with a spring-ring clasp. Even the link that attaches to the clasp is decorated! 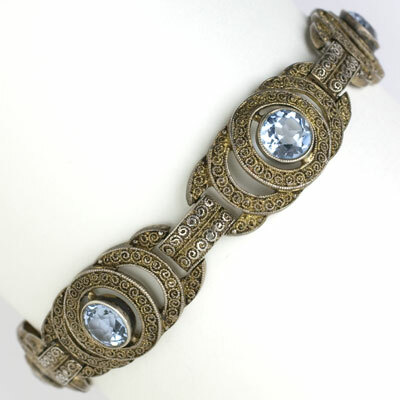 Scroll down to see a gorgeous Fahrner bracelet to wear with this lovely necklace from my personal collection.